If you’ve ever visited the Indiana University Bloomington campus, chances are you’ve seen the Indiana Memorial Union (IMU). With more than 500,000 square feet of space, it’s one of the largest student unions in the world, and one of the campus’s most significant landmarks. But the IMU is more than just a big building. 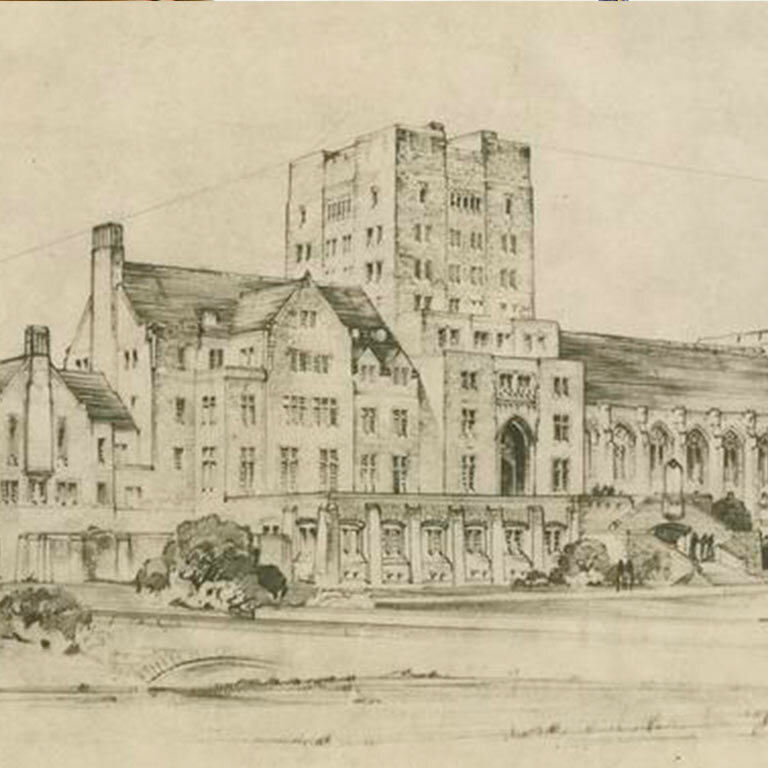 Though the Indiana Union was founded as a student organization more than 100 years ago and the IMU building was constructed in the early 1930s, the IMU is just as important to campus life today as it was a century ago. It’s a place where students, faculty, staff, alumni, and visitors alike come together to experience the spirit of IU. A place that welcomes everyone with Hoosier hospitality, and where everyone feels a sense of belonging. A place to call home. The IMU’s history dates back to the earliest years of the twentieth century, when an IU student named John Whittenberger decided to form a student organization that would foster a spirit of collegiality on campus. With the help of IU’s president, William Lowe Bryan, and members of the faculty, Whittenberger founded the Indiana Union in 1909. With Whittenberger as its first president, the fledgling organization moved into the Student Building, where it was housed until 1932, when the Indiana Memorial Union was constructed. The Indiana Memorial Union Board is the IMU’s student board of directors. Union Board members serve as stewards of the IMU, ensuring that it enhances the campus community while fostering student involvement and academic and personal growth. As IU Bloomington’s largest student programming body, Union Board organizes events and activities ranging from concerts and lectures to films and debates for the campus community. Union Board also is responsible for assisting the IMU’s professional staff with oversight of the IMU and the development of policies and procedures. Learn more about Union Board by reading the Union Board bylaws and constitution. It takes a lot of people to keep the IMU running—hundreds, in fact. From full-time staff positions to part-time jobs, internships, and assistantships, the IMU has employment opportunities in restaurants and catering, hospitality, retail, meeting and event services, facility services, marketing, and information technology support.